Call 501-207-0262 to schedule your first appointment. If you think that you need help with your hearing, then come to Miracle-Ear® to find out about our hearing aids in Hot Springs Village, AR. We are America's most recognized brand of hearing aids and have over 1300 locations nationwide. The experienced hearing care specialists at our independently owned and operated location will be dedicated to finding the best match for your situation. Here at Miracle-Ear in Hot Springs Village, we want you to discover and experience the Miracle-Ear® advantage. Our goal will be to help you and the more than 36 million Americans who have some sort of hearing loss.† Let us give you the rich sounds, clear conversations, and important connections you’ve been missing out on. Come to our hearing aid center today to get started. Tammy entered her Hearing Specialist internship under the influence of local Audiologist and studied through International Hearing Institute. She earned her Arkansas Hearing Instrument Specialist License in 2008 while working at Arkansas Hearing Center. She was the Specialist and Operations Manager of Arkansas Hearing Center from 2008 through July 2013. She resigned her position with Arkansas Hearing Center with the goal of purchasing the Miracle-Ear franchise from the previous owner Ben Wofford. Tammy attended in-depth training with Miracle-Ear to become a certified Miracle-Ear Consultant. She has a strong sense of treating folks according to the Golden Rule. She wants their patients to feel the sincere, warm, and caring personality from her and their staff. Tammy enjoys spending her time with family, gardening, camping, and just being at the lake. The Paynes are also active members of the Hot Springs Village Chamber of Commerce. Tammy Payne currently serves as Secretary for the Arkansas Hearing Society. She and her husband pursued their goal of purchasing the franchise and growing the presence of Miracle-Ear Hearing Centers in Central Arkansas. 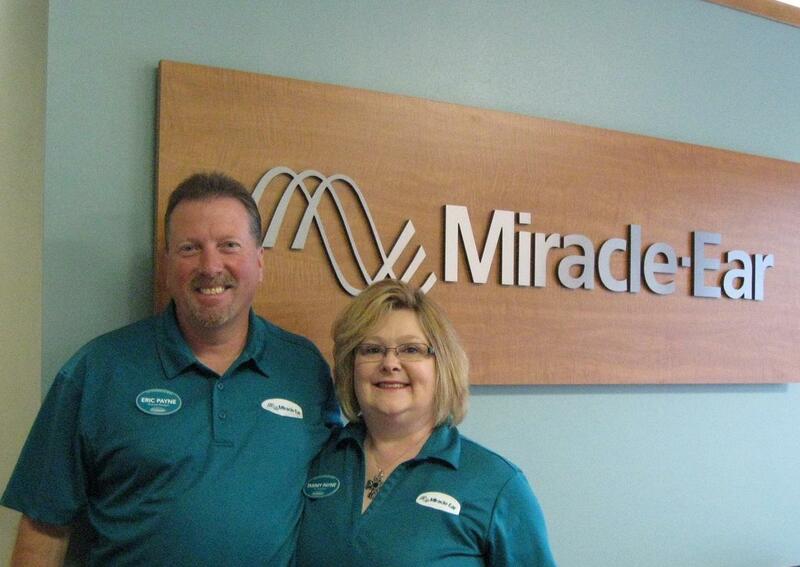 The Paynes became the owners of the local Miracle-Ear franchise on Nov. 1, 2014. The Paynes are also proud sponsors of the Miracle-Ear Foundation, which provides hearing healthcare assistance for underprivileged recipients. ** See store for complete warranty details.